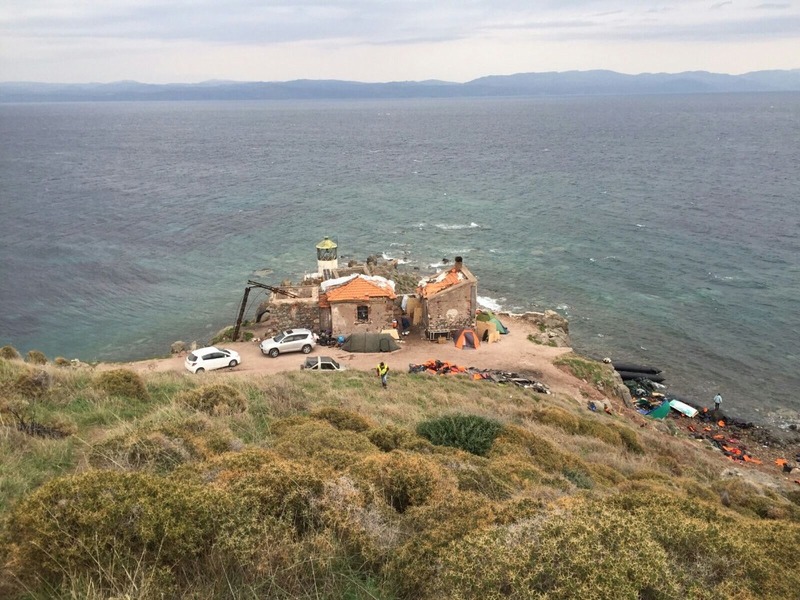 Disaster Medics has decided to respond to the growing refugee crisis in the Mediterranean by deploying a team to the Islands between Greece and Turkey. 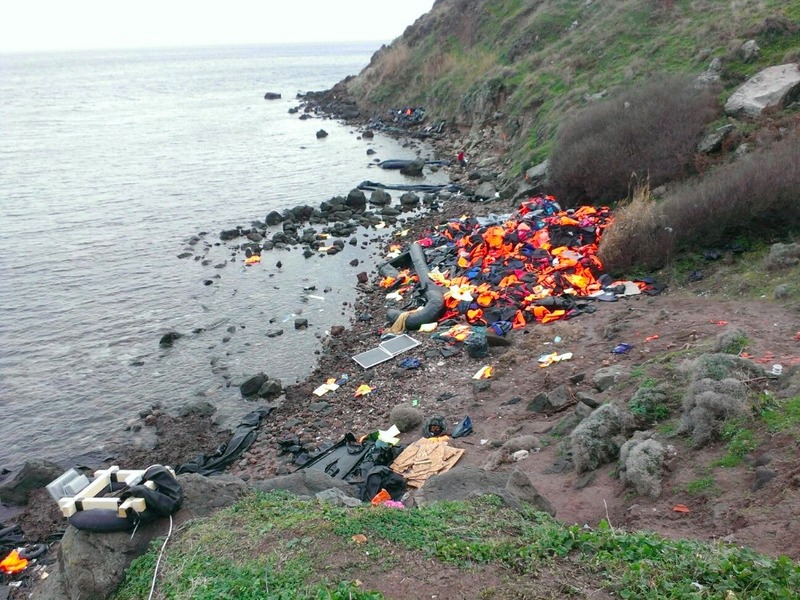 These islands are being flooded by refugees from Syria and Afghanistan with thousands arriving every day. The infrastructure of the island is not able to provide for such a large number of people and impromptu refugee camps are springing up all over the place. There is little or no medical care available to these people while the need for this is increasing daily. 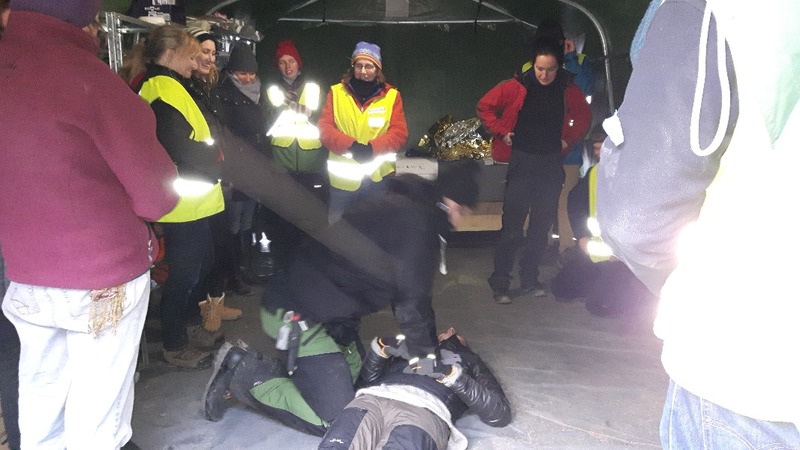 Our team will provide First Aid and pre-hospital care as well as carry out a medical needs assessments which will be shared with other humanitarian aid organisations. Disaster Medics is an entirely voluntary organisation. We’re based in Ireland but operate worldwide. All our volunteers have internationally recognised qualifications. In recent past we have deployed teams to the Philippines and Nepal following disasters there. In order to cover the operational costs of this deployment we need your support! All donations will be spend on medical supplies and such things as local accommodation for the team. We do not use funds to pay for overheads which don't have anything to do with providing aid! 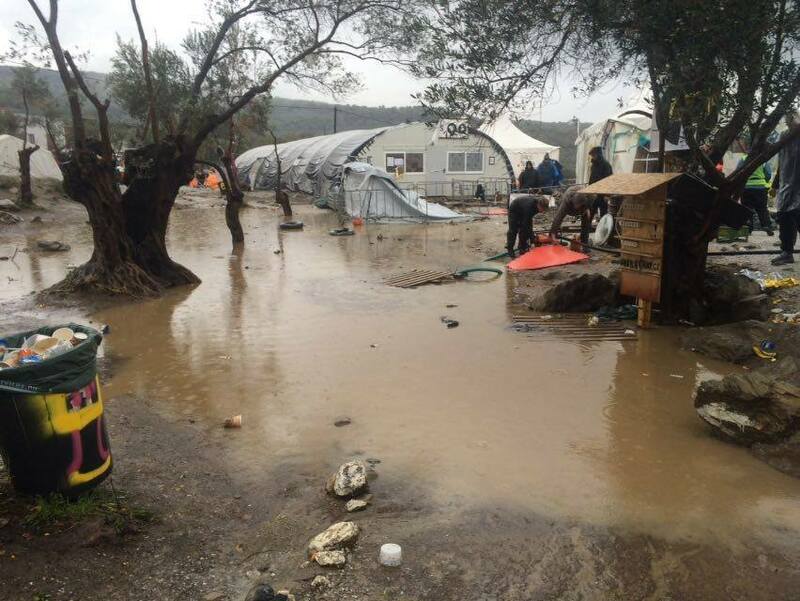 With the weather turning very bad in the recent week the situation on Lesvos has severely worsened. While the bad weather has brought down the number of arrivals the situation for those on the islands is almost untenable. 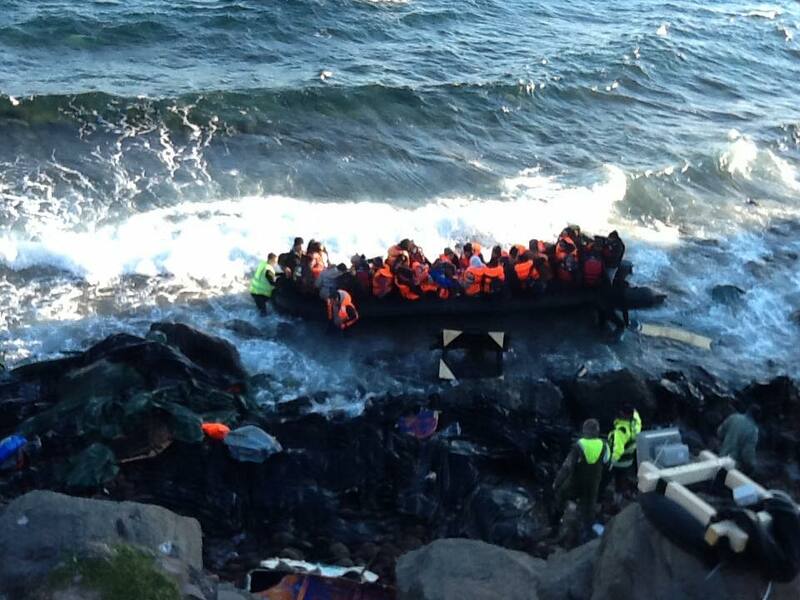 Hypothermia has become even more common and many refugees arrive with frostbitten feet and hands. The infra-structure in the camps is just not suitable as the tents do not offer sufficient protection from severe rain cold. "Difficult night last night. 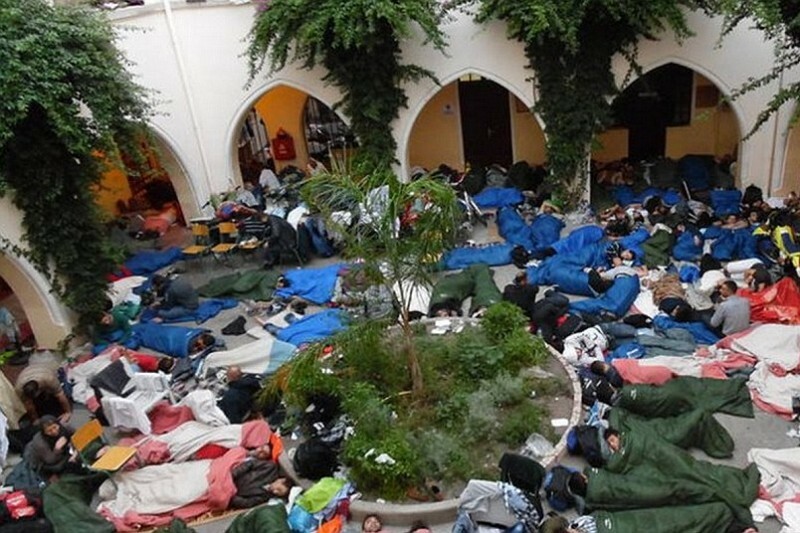 100's of refugees. 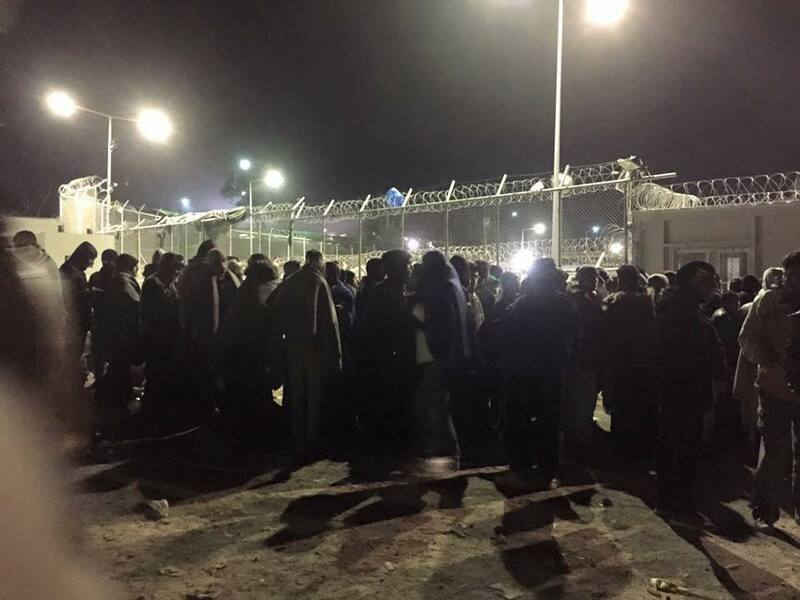 Frustration, fear, hunger, anxiety, extreme fatigue, language barriers, frightened, hungry, tired, crying children, cold and a registration line that wasn't moving. Fights over food and blankets. Thankful for amazing co-workers a warm bed and shower last night. Beautiful sunrise this morning as we headed out for another day." Our team has been assisting wherever needed. 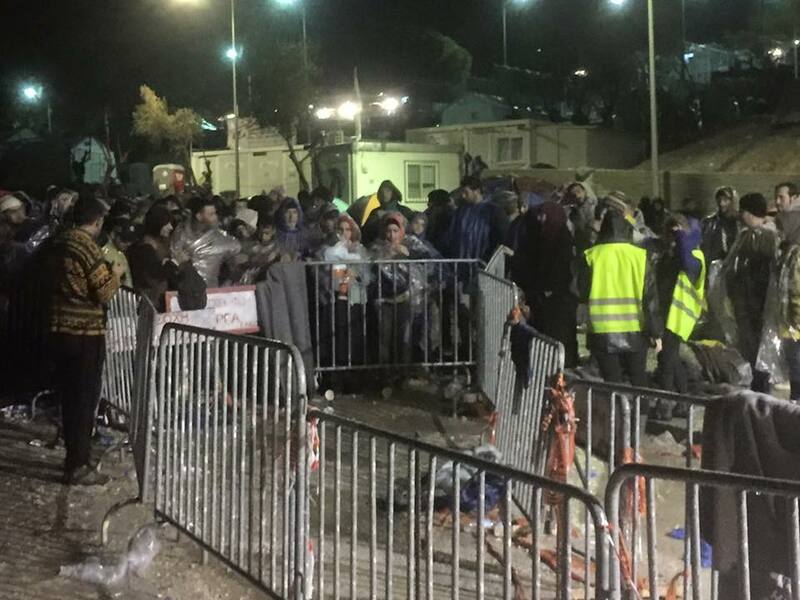 They have worked in the medical centers in Moria and at Skala, manned the watch-posts at the remote Korakas location, made 100's of sandwiched for refugees stranded outside in Mytilini port and much more. Every single one of our volunteers is a superstar. Today we made a donation of several dufflebags of medical supplies to the Health Point Project clinic in Moria (see picture). These bags contained a much needed medical supplies and will enable the clinic to provide much needed care for the refugees. Please help us to continue looking after the refugees in their hour of need by making a donation now! 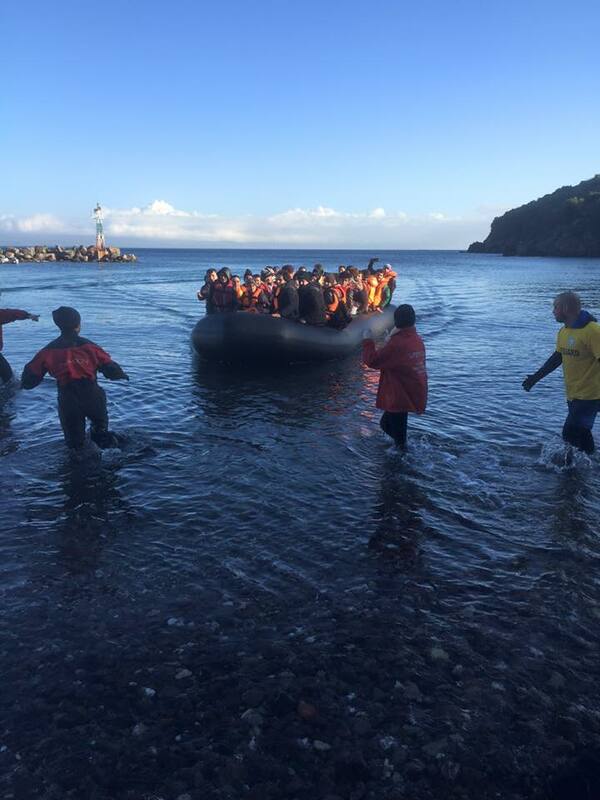 Some pictures taken by our volunteers working on Lesvos recently. It shows the variety of locations and conditions of where we work. 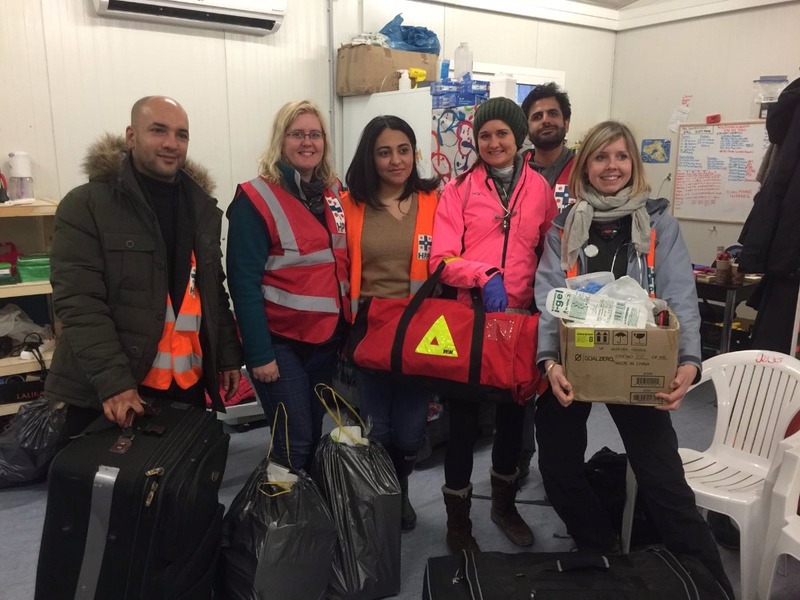 Our fantastic team has assisted with receiving boats at Skala Sikaminea, pulled cold & dark nightshifts at Korakas (Lighthouse East) and worked shifts at the medical clinic at Moria. On days that it was less busy they worked to improve the facilities by repurposing pallets into shelving, clearing and marking paths through the mud etc. It's a varied working environment and we are blessed with the high standard of volunteers. Please consider that we have been working on the island since early September and have been been instrumental in setting up a lot of the response systems and facilities that have now become the standard on the island. 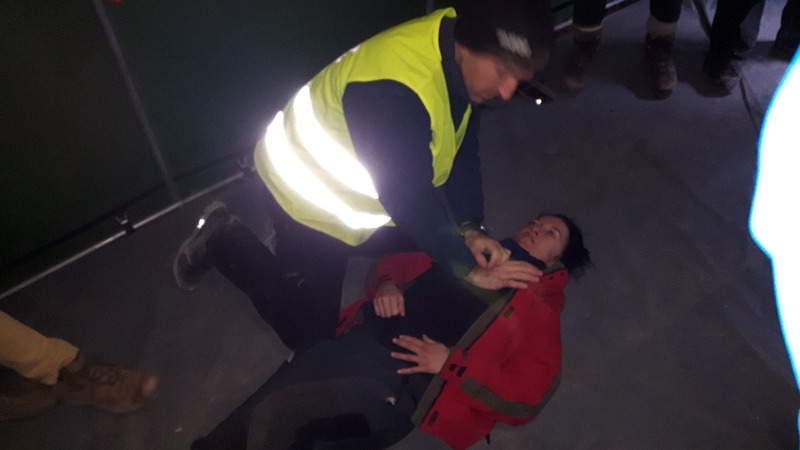 We are evolving and adapting to the changing environment and plan to get involved in other areas of aid such as training volunteers working for other organisations in First Aid and CPR skills. Please enable us to continue our work by making a donation today. Boat arriving at Skala Sikaminea. For the past week our team has been spread out assisting other organisations by plugging staffing shortages. They've have pulled repeated shifts during the long cold nights at Korakas/Lighthouse East working with Lighthouse Relief, done medical shifts with Sisters in Health at Moria and lastly are on standby to provide the CK Group with EMT's if required. This under deteriorating conditions as the weather has turned extremely cold (snow) and wet. Some of the team are suffering with a dose of the flu and on top of that the water has been off at the team house for the last 4 days. In spite of this our dedicated volunteers are continuing to give 100% effort helping the refugees in their time of need. Please support them by making a donation today! The remote location of Lighthouse East. 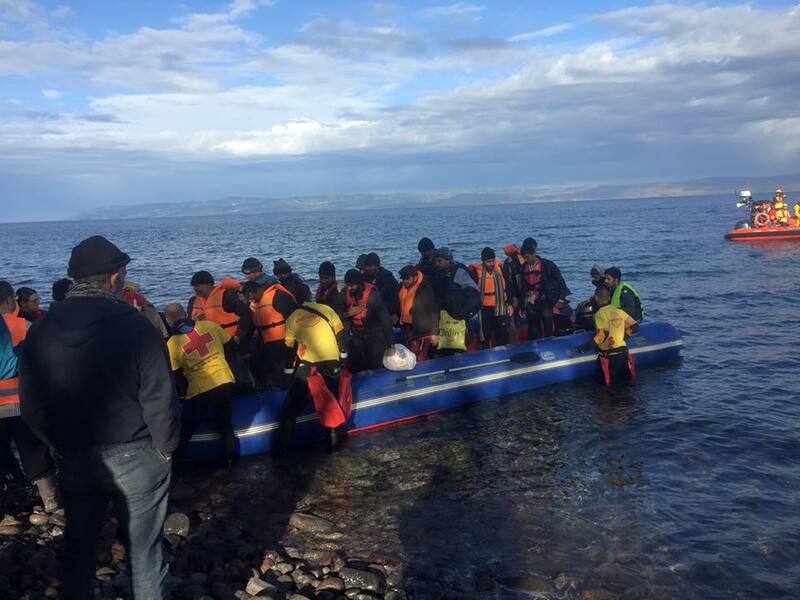 Our previous teams identified a need for First Aid training with the other NGO's working on Lesvos. Based on that feedback we offered to run First Aid classes for the other volunteers working on the island. There was a large interest in this and the first classes took place yesterday at the camp run by Lighthouse Relief. The volunteers there were given CPR training. Today we followed up with more classes. 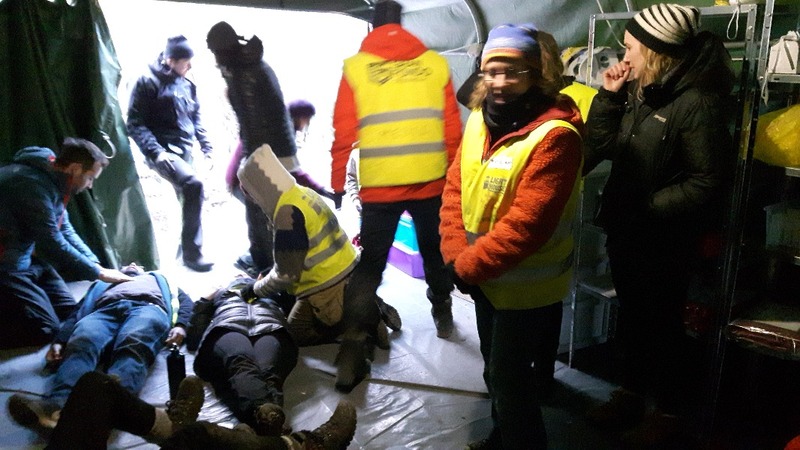 Our plan is to run the classes in different locations with as aim to ensure that people working with the refugees at least have a basic understanding of first aid. Please help us to keep these classes going by making a donation today! This donation is from the staff of UCL Qatar.